Ice cubes are so square. The new way to drink is in the round. Spherical, that is. 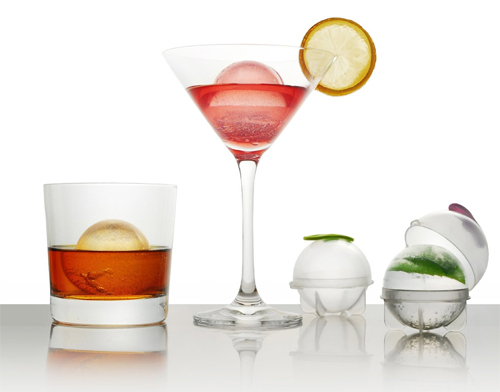 These Prepara Ice Balls come as a set (for you and three friends) and brighten up the freezer as well as your drink. Get creative and add mint leaves, juice or fruit segments for a drinking experience that is sure to leave the guests asking for another round.